The growith of utility-scale wind power will be driven, in part, by the continually improving efficiency of wind turbines and the simultaneous decrease in investment costs per installed megawatt (MW). 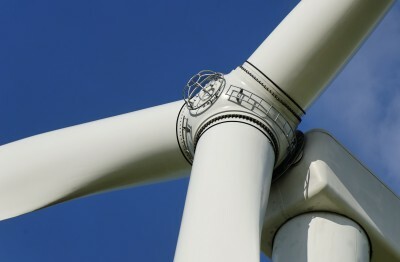 New analysis from Frost & Sullivan http://www.energy.frost.com, Utility-scale Wind Turbine Technology Options and Pricing in Africa, finds that both the height and the swept area of grid-connected wind turbines have increased significantly. The supply is now dominated by turbines in the 1.5 to 3.0 MW range, boosting the efficiency of wind turbines over a variety of potential wind speeds. “There are a number of new wind turbine manufacturers entering the African market, and with global manufacturing capacity exceeding demand, wind turbine prices are extremely competitive,” said Frost & Sullivan Energy and Environment Industry Analyst Gareth Blanckenberg. 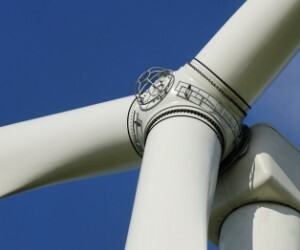 Wind turbine prices will continue to fall in the short term. Across Africa, several governments are investing more resources in the exploration of renewable power and offering feed-in-tariffs that enhance affordability and widen the potential of wind energy generation. While costs reduce, turbine efficiency will increase, reducing the cost per MW of electricity generation from wind power. The average power rating of a utility-scale wind turbine in the region is expected to reach 2.4 MW by 2017. Since electricity production from wind turbines is highly dependent on the prevailing wind conditions, choosing an optimal site and the appropriate wind turbine is critical for the economic viability of projects. Turbines are required to adequately manage variable wind fluctuations, while meeting electricity generation specifications in terms of voltage, frequency and harmonics. If you are interested in more information on this research, please send an e-mail to Samantha James, Corporate Communications, at samantha.james@frost.com with your full name, company name, job title, telephone number, company e-mail address, company website, city, state and country. Utility-scale Wind Turbine Technology Options and Pricing in Africa is part of the Energy & Power Growth Partnership Service program. Frost & Sullivan’s related research services include: Strategic Overview of the Tunisian Electricity Industry, Sub-Saharan African Power Plant Construction Market, Southern African High Voltage Transmission and Distribution Market, and Overview of the Mozambique Electricity Industry, among others. All research services included in subscriptions provide detailed market opportunities and industry trends evaluated following extensive interviews with market participants.